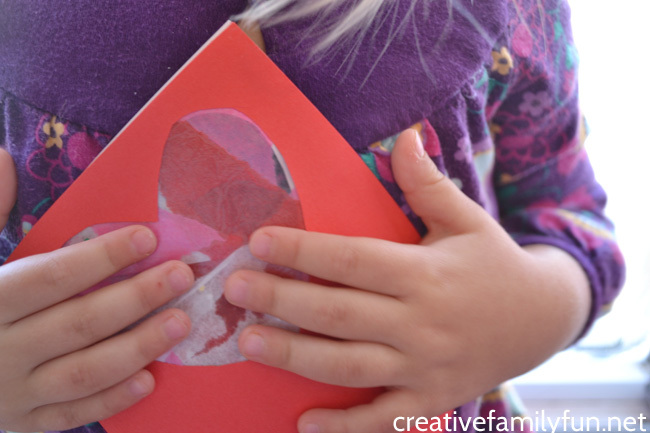 Our Valentine’s Day crafting has begun! 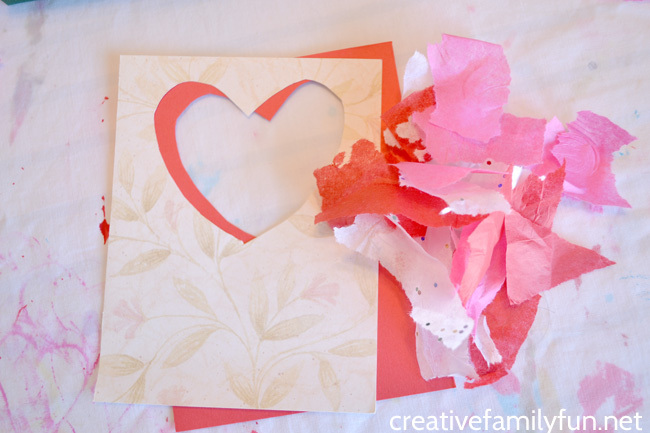 My oldest has been begging me for a few days now to make Valentines, so out came all the red and pink paper. Our first project was to make Stained Glass Window Valentines. This project is so much fun and can be done by kids of all ages. 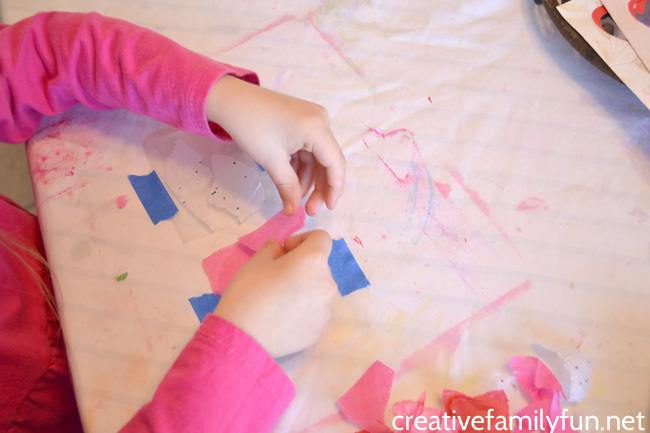 Your toddler can easily make the tissue paper collages. Older kids can tackle the entire project from start to finish. My preschooler did everything except cutting the heart shape from the card stock. I did a bit of prep for this project by cutting heart shapes out of the card stock and scrapbook paper and also cutting the contact paper into small squares (large enough to cover the heart shape you cut). When cutting out the heart shapes I cut a piece of card stock and a piece of scrapbook paper at the same time by placing them back to back. I wanted the heart shapes to be the same size and in the same location since we would be gluing them together later. I taped the contact paper down to the table sticky side up and had the girls start layering the tissue paper bits. Taping down the contact paper is not necessary, but it is a big help! It will keep the contact paper from moving all over the place. Once the girls were finished with the tissue paper, we layered a second piece of contact paper over the top and trimmed the excess tissue paper from around the edges. 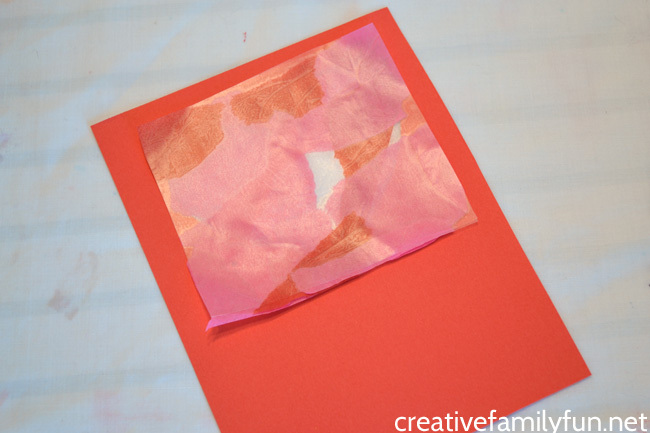 Using the glue stick, cover the piece of card stock with glue, paying close attention to the edges. 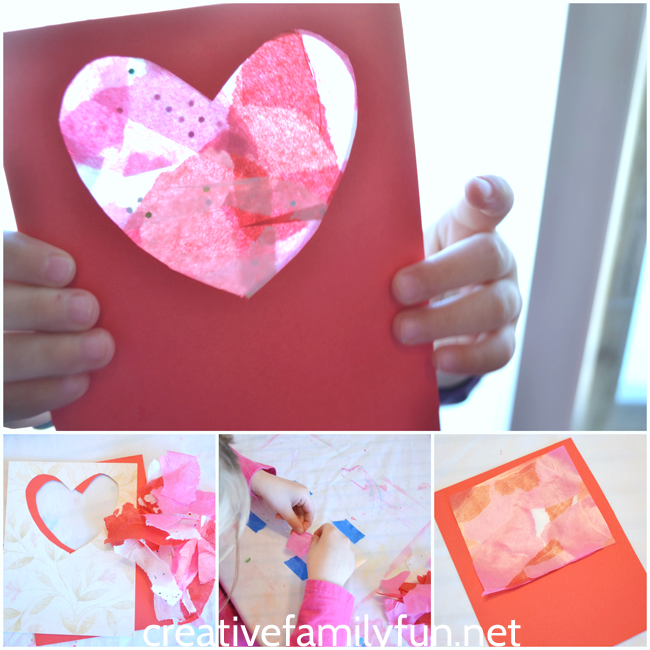 Put your contact paper collage over the heart shape then layer the decorative paper over the top, lining up your heart shapes. Now you have a lovely flat note card with room to add your own message. 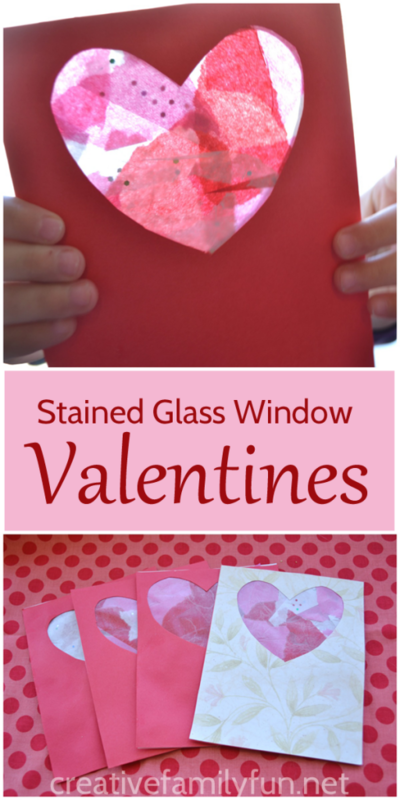 Make sure to hold your Stained Glass Window Valentines up to the light and see how pretty it is when the light shines through! 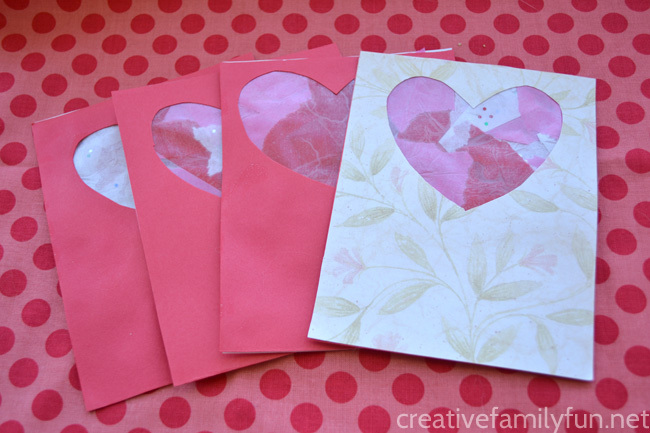 Have you started making Valentines yet?